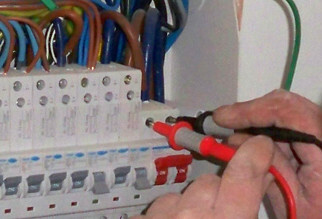 Ambient Electrical Services specialise in Periodic Inspection and Testing. Safety in the workplace is a top priority to any business and regular Electrical Testing is crucial. Ambient Electrical Services specialise in Periodic Inspection and Testing within Surrey and East Sussex. Fully complying with the latest UK Health and Safety at Work directives, Ambient offer fast, efficient and cost effective Electrical testing, a specialises process, checking that electrical installation (sockets, switches) are safe. Testing is carry out with the minimum of disruption, arranged if required out of business hours appointment allowing your business to carry on without the need to shut down your systems and interrupt busy trading hours. Early identification of faults can often be a cost effective way of maintenance through periodic inspection, allowing repairs to be carried out before the need for costly replacement. The main areas we concentrate on within the workplace are fire risk and electric shock risk. Many people are unaware that their insurance way be invalid if they do not possess a current test certificate. Through periodic inspection of distribution boards and switchgear we ensure sound electrical connection. Time and usage can cause electrical connections to work loose and cause faults which can be prevented through testing. A full and detailed report outlining any areas that require attention will be provided and an implement plan devised to rectify any remedial work. Please contact Ambient Electrical Services for further details and to make an appointment for a FREE initial survey.